Taxes are an almost omnipresent part of everyday life, but much like the horse of yesteryear, they needn’t be. The revenues that taxes levy are the life blood of a government – without collections, public servants can’t be paid, nor can vendors and other partners that make the business of governance possible, but a different model may be just around the corner – the land lease system. Many people would think of the government as an agency of resolving disputes, registering property, building roads and other common notions of good governance in a civil society. However, schools of thought exist that claim governments do own everything they survey – not the citizens or their property, but the land over which they exercise territorial autonomy. This means that the government owns the whole of its territory, and citizens are essentially tenants on this land who conform to a certain series of specifications in order to obtain rights to certain parts of the aforementioned land. These rights depend on the kind of land in question: for example, certain countries sell logging rights along with the land, whereas others sell just the logging rights. The same applies for mining, agriculture, and most importantly for what we’re discussing: Construction. Hong Kong is often discussed in startup society circles as a great example of good governance – businesses leave neighboring China in favor of Hong Kong’s more business-friendly shores in their thousands, and their startup scene is one of the most vibrant in Asia. Combine this with the international networking opportunities, and one sees why Hong Kong is a highly desired location. This is what 6,741 persons per square kilometer looks like.A 400 square foot apartment in Hong Kong sets you back $611,500 US. For the same amount of money, one could get a 6 bedroom mansion with several acres of land in Nebraska. The old adage of “Location, location, location” definitely rings true. As in any market, high demand results in results that may not be the most equitable for the common buyer. The market we are speaking of is the real estate market in Hong Kong, and it is without a doubt one of the least affordable in the world. This is partly due to the exquisite environment the city finds itself in, both in business and nature. 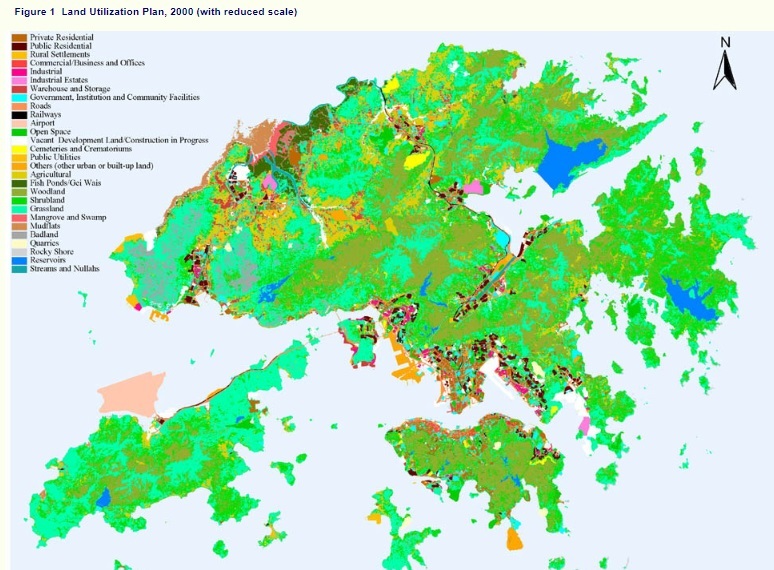 Speaking of nature, over 71% of Hong Kong’s land territory is covered in state-owned parks, ponds, historical conservation areas and similar non-residential specified lands. This leaves only 7% of the island’s surface usable as residential real estate and another 9% as business real estate. This is where Hong Kong’s curious land lease revenue system comes into play. Hong Kong’s land-leasing system empowers the government to exercise two important land policy measures—regulating land supply and capturing development windfalls. Hong Kong’s government primarily focuses on the areas of capturing development gains for financing urban infrastructure. There is a belief that Hong Kong’s experience has no relevancy to countries where land tenures are organized under freehold systems. Quite the contrary, lessons learned from Hong Kong could be very valuable for officials in many parts of the world. For example, in the U.S., a large portion of undeveloped land is still in public hands. This publicly-owned land has very high development potential and officials are considering whether they should sell the land or lease it after the land is vacated. In addition, some Eastern European countries and the PRC are experimenting with public leasehold systems. A thorough study on Hong Kong’s land-leasing experience will provide useful lessons for future land-policy making in these countries. We are examining these revenue streams for future reference by startup society entrepreneurs. As the territory of a startup society will be owned by a single entity (though this entity may be represented by a multitude of people), it is important to deduce best practices with the ownership of land and the capturing of its value. The governance body (which owns the land) will specify in a tender contract the conditions of sale for the land parcel – the location, size, minimum cost, height and design specifications for buildings etc. The governance body can then inform all interested developers of the conditions for developing the land. The developers calculate their maximum bidding price and go to the land auction. The governance body’s tender contract for the right to develop the land (TDC) can require a down payment or lump sum as a sign of seriousness on part of the developer. In this system, it is exceedingly difficult to purchase land with the intent of speculation or similar actions not in line with the startup society’s values. The developer may, at a certain point, discover that a potential development on the land might yield great returns, but see that the TDC does not allow for such a development. The developer would then apply for a modification to the TDC, and pay a premium for such a change. The modification premium is based upon the potential increases in land values after the development restrictions are lifted. The rationale for demanding more money is that when leaseholders revise the development restrictions, they are requesting additional development rights from the government; therefore, they must pay for the newly acquired land rights. Renewable and non-renewable leases can be provided on the tender contract market. In the case of the former, the lease will automatically be renewed unless otherwise specified by the leaseholder. In the latter case, non-renewable leases will be subject to renewal only if a (TDC-specified) premium is paid, however this needn’t be the case as the startup society may desire to make the land public ownership one more. The TDC can specify a regular installment for the granting of land rights. It may even be subject to a progressive change – the first year will require a payment of 1% of the property’s fair market valuation, the next year will cost 3% etc., so as to absorb and distribute the land value increases to the general community. This system can deliver equitable results to citizens while being ethically acceptable (through the clearness of the tender contract. The governor can share the financial gains generated by the increased land values with other citizens and capture the value that would otherwise go to property developers and distribute it to the community around new developments in the startup society. 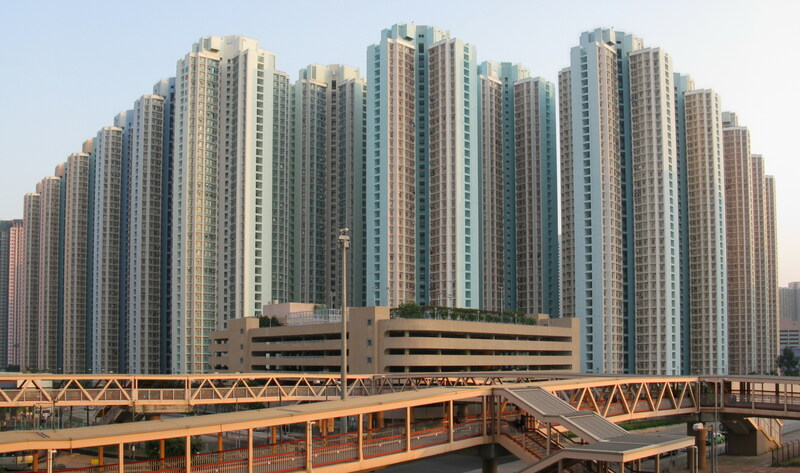 This system has been active in the Hong Kong jurisdiction for over 40 years, but a refurbishing of the system with a new property registry and smart contract system powered by the blockchain could make these developments and tenders available worldwide at minimum transaction cost, and would serve to create better real estate for startup societies and smarter deals for developers. Property taxes are so 15th century – there has to be a better way to raise funds. There is: startup societies can write up transparent, tender smart contracts for land development, which developers bid for in a digital air-gapped auction. The developer who wins the land rights must then strictly adhere to the contract, and share the increased real estate value with the startup society. The startup society leases the land (rights) to the developer, and should re-negotiations occur, a fee is charged. Renewing leases that are about to expire also command a premium, and regular payments that scale with property values can be instituted as a measure to share with the general populace the wealth resulting from land value increases. This is a promising land development and governance tool that SSF will do more to study and share with our supporters, without whom our work would not be possible.